Doctors go on strike 'for creating pressure' - Integration Through Media ....! 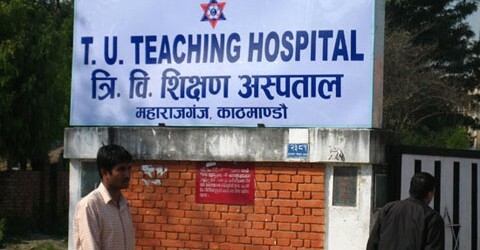 KATHMANDU, April 4: Doctors at the Tribhuvan University Teaching Hospital (TUTH), Maharajgunj, have launched protest programmes from today to pile pressure for the immediate appointment of officials at the hospital and the Tribhuvan University Institute of Medicine. Doctors protested for an hour at the premises of the hospital this morning by tying black bands on their hands. Doctors said they have been compelled to launch phase-wise protest programmes after the university officials including the Vice-chancellor neglected their repeated requests to appoint the officials.